Red Whittaker stands beside an early prototype of RadPiper, a pipe-crawling robot that will help decommission uranium enrichment facilities in Ohio and Kentucky. 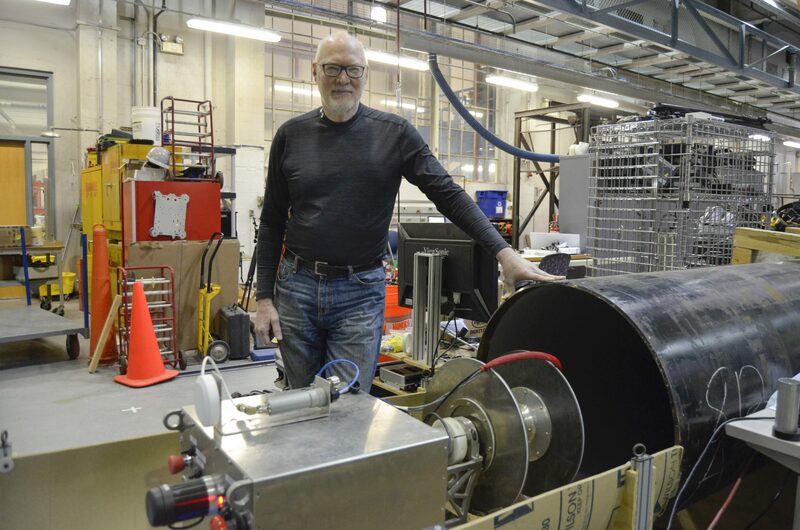 Whittaker has worked in robotics for four decades at Carnegie Mellon University, and he developed several robots in the 1980s that helped clean up after the Three Mile Island Incident. After TMI accident in ’79, this Carnegie Mellon team pitched a novel idea for cleanup: Use robots. It was just the beginning. 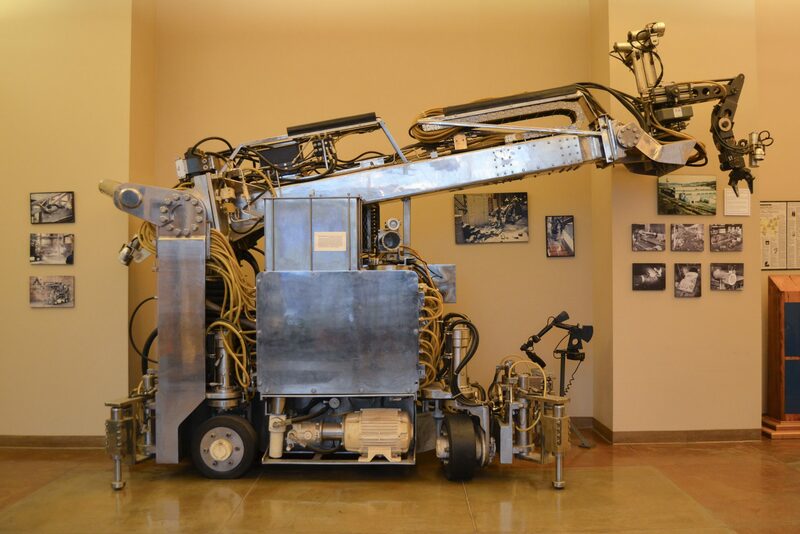 Workhorse, the third robot developed at Carnegie Mellon University to clean up the basement of Three Mile Island’s Unit 2 containment building after the 1979 accident, sits on display today at the school’s National Robotics Engineering Center. Although officials involved with the cleanup effort decided not to use the robot, it served as the basis for future robots developed by the researchers. RadPiper was designed to crawl through pipelines at uranium enrichment facilities in Ohio and Kentucky to detect deposits of residual uranium. 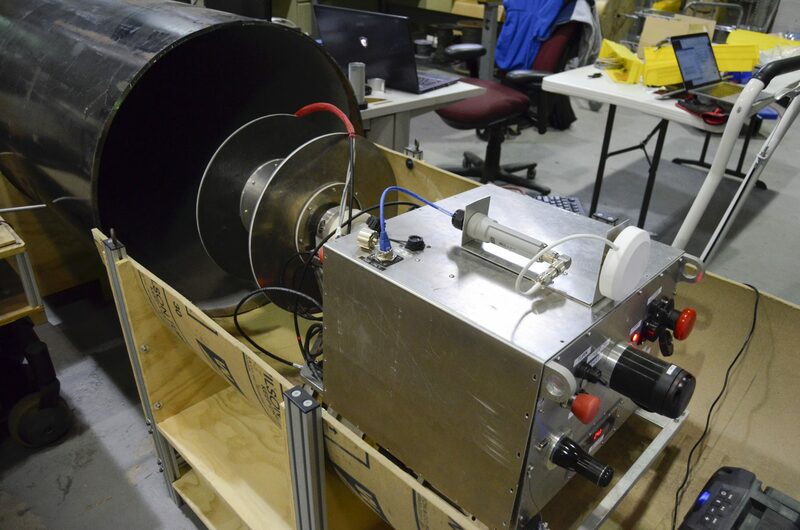 This early prototype remains at Carnegie Mellon University.